Soft Machine needs no introduction. They are the embodiment of the British jazz/prog scene and they are renowned for their electric performances and their instrument mastery. This rare footage has just been rediscovered and it is thanks to Voiceprint that we now can witness this momentous performance on DVD for the first time. 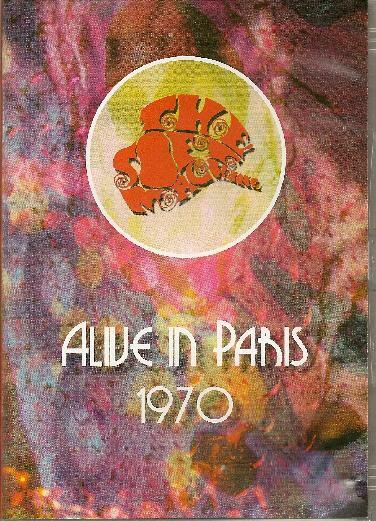 It was originally filmed for French TV on March 2nd 1970 at the Theatre de la Musique in Paris, and sees the lineup of Robert Wyatt, Hugh Hopper, Mike Ratledge, Elton Dean and Lyn Dobson in a period that some call the bands creative height. The set begins with Facelift, from the album Third, and it captures a spirit that almost seems lost by the music scene in general today. The set also includes Backwards/Mousetrap Reprise, Out-Bloody Rageous, a Robert Wyatt vocal improvisation while resting his tired arms, and Esther's Nosejob. It is a manic sax induced ride, which stops off at places on route in which Frank Zappa and The Mothers of Invention found their fame, and it is a bird's eye view of the groundbreaking British band at the peak of their notoriety in France, and fans will know exactly what to expect. The footage is beautifully filmed and the quality of both sound and picture is excellent, very moody and atmospheric, and it is matched by a timeless performance by this magical band. My only gripe would have to be the overlaid applause that randomly comes in and out throughout the concert. This has no bearing on what the crowd is actually doing and seems a little ridiculous at times. However, this does not spoil the flow of the program, but it makes you wonder why it is there at all. This is a must for any Soft Machine fan, and a definite for those wanting to see the band in action for the first time. Excellent stuff.